The Banner of the Passing Clouds depicts life under the totalitarian communist regime in Georgia from the 50s to 90s, when Georgia gained independence from the USSR. Its compelling narrator, who is born on the day Stalin dies, is given Stalin's name by hospital nurses - Iosif Dzhugashvili. When Iosif learns of his strange link to the 'man of steel', he becomes convinced that Stalin has found a new dwelling place within his chest, a burden he both welcomes and fears. 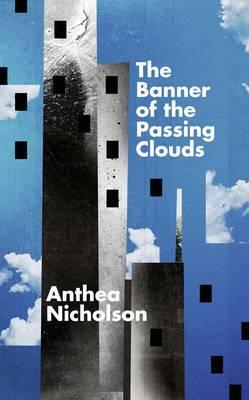 The Banner of the Passing Clouds vividly describes life in Tbilisi and gives an extraordinary insight into living under communism in Georgia. In Iosif, Anthea Nicholson has created a unique narrator: a victim of the regime, which dictates all aspects of his and his family's life, who is also complicit in its ideology and practises. As an unquestioning citizen of communism, he is disconcertingly unpleasant, yet he remains a curiously pathetic and moving figure. It is only when Iosif unwittingly destroys his family's happiness that some kind of redemption for him is possible.